He was a real-life, working-class hero known as the “British Muhammad Ali”—because he had a big mouth and wasn’t afraid to use it. But Brian Clough wasn’t a boxer, he was a soccer coach, known for taking backwater teams and making them into champions. In towns where people had little else, the hard-drinking and scrappy Clough was a hero. He was especially beloved for telling it like it was on behalf of small-town teams everywhere — calling out the stars who played dirty, rival coaches he suspected of bribing referees, and the league that let them get away with it. And then one day Clough was offered a job coaching the big-city team he’d called the dirtiest — the perennial powerhouse Leeds United. 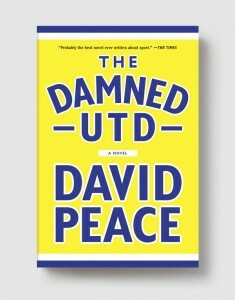 The Damned Utd tells the story of the legendary Clough’s tumultuous forty-four days trying to turn around a corrupt institution without being corrupted himself — the players who wouldn’t play, the management that looked the other way, the wife and friends who stood by him as he fought to do the right thing.